I believe that if you want to look good in your makeup, you must first focus on your skin and the skin care products that you use. If you have problematic skin, then invest in skin care products that will treat the root cause of that problem. 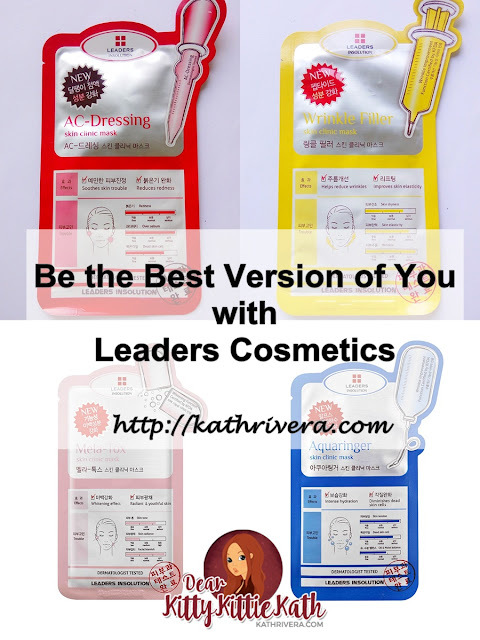 Having a sensitive, oily and aging skin is a big dilemma for many but no worries because Leaders face mask can help you achieve that radiant, smooth, youthful, and firm skin! All their products are dermatologically-tested and they can assure you the best quality and results. Does your skin lack in moisture and balance? 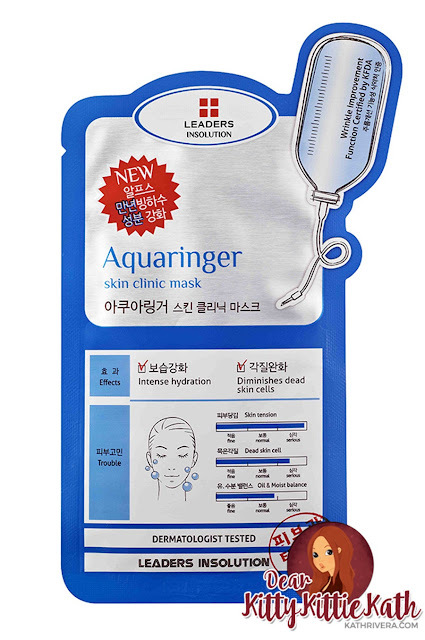 Rejuvenate your skin with Aquaringer Skin Clinic Face mask! It gives skin the much needed hydration while ironing out fine lines and wrinkles because it has Alpine Glacier water and Amino Acid Complex that instantly restores skin for intense long-lasting hydration, boosting elasticity, leaving skin soothed, radiant and exceptionally soft. Also, the NMF or Natural Moisturizing Factor takes away those nasty dead skin cells. It takes 15 to 20 minutes for the essence to be fully absorbed. Upset with pimple marks and blemishes? 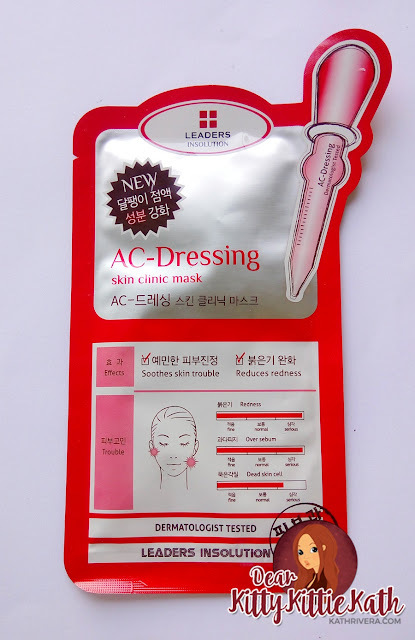 Reduce and lighten your pores with AC Dressing Skin Clinic Mask! I It purifies, smoothens, lightens, and calms sensitive skin; regulates excessive sebum production; tightens pores and diminishes the appearance of minor acne scars; bio-cellulose mask is made of fermented coconut juice that locks moisture in and delivers key ingredients deep into skin. When using the mask, leave it on for 15-20 minutes. 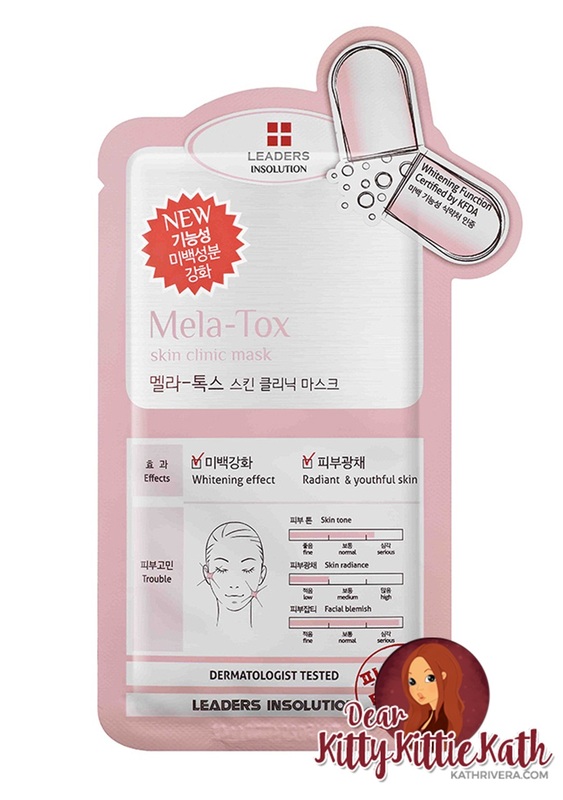 Achieve your beauty goals with Mela-Tox Skin Clinic mask! It brightens dull complexions by suppressing melanin production which causes pigmentation problems. The mask also moisturizes and diminishes blemishes and delivers moisture and radiance to dry and tired skin. Before you put the mask you must cleanse and dry your face, then refine it with toner. Do not leave until the mask has dried up as this will dehydrate your skin. Remove and tap your face for a while. Leave it around 10-15 minutes for the essence be fully absorbed. Maturity doesn't mean dry and aging skin! Minimize the appearance of wrinkles with adenosine that plums up and firms sagging skin. 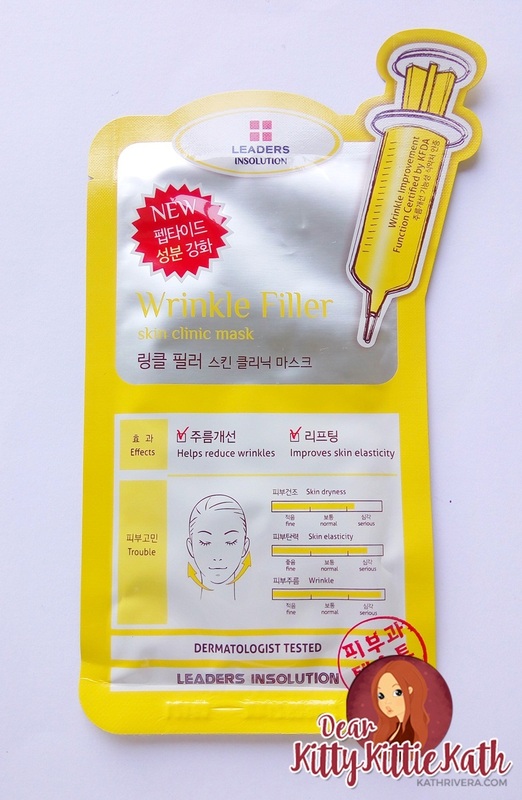 This wrinkle filling mask reduces the signs of fine lines and crow’s feet around the eye area, forehead and mouth. Containing peptides which efficiently diminish the signs of aging, collagen production is increased to achieve firmer, younger and more resilient skin. Apply mask and leave it on for 15 to 20 minutes. I became a fan of Leaders Insloution face masks because the results are instant. You can have glowing skin if you use the Mela-Tox Skin Clinic Mask that I'm going to review on my next post, if you want firmer skin then you can try Wrinkle Filler Skin Clinic Mask, there's a also a mask for pimples and redness- AC Dressing Skin Clinic Mask and a mask for all skin types which is the Aquaringer variant. All these masks have instant effect on skin that's why I highly recommend you to try one and see for yourself!. I've never found a perfect facial mask match for me. Thanks for sharing this! I might try this one and I hope that I will settle with this.